St. Bonaventure has offered NY Lightning & Patrick School (NJ) 2019 guard Alejandro Vasquez, who is currently playing with Puerto Rico’s u18 national team.
.@solid_2500 is one of the biggest risers in the country, plays above the rim as rim-protector & highlight-reel dunker. He holds offers from Arkansas, Louisville, Baylor, Virginia Tech, Texas Tech, Oklahoma, TA&M, Seton Hall, Ole Miss, & Memphis. He plans an OV to UA in the fall. '19 Hog offer Victor Iwuakor @solid_2500 (6-7 F, Sulphur Springs, TX, Drive Nation on Nike EYBL circuit, Nat'l No. 97 / 4* according to 247Sports) told me he spoke w/Head Hog Mike Anderson today, and that he'll "probably" take an unofficial visit to UA "at the end of July."
. 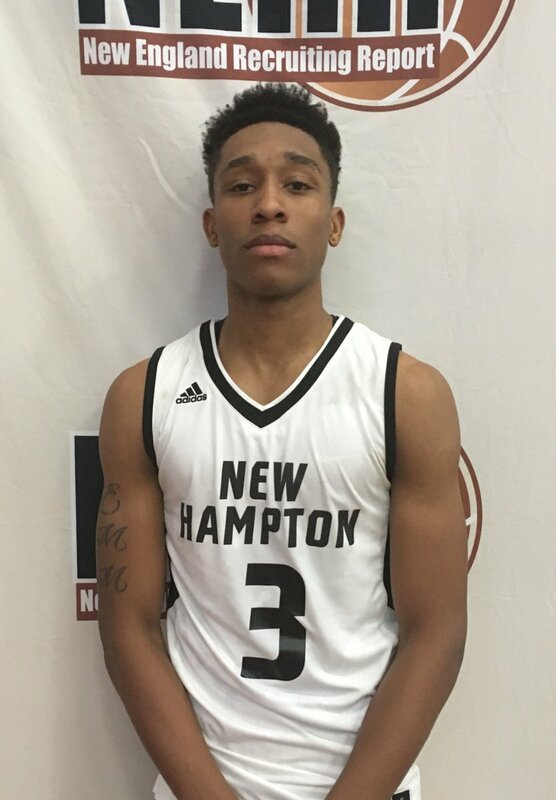 @NHSHuskySports & @TheCityRocks guard Mika Adams-Woods added offers from Buffalo and Charlotte today. CHARLOTTESVILLE, Va. – The spring has treated top 75 wing Patrick Williams well, as he has blossomed into a must-get for some of the top programs along the East Coast. A man of few words, Williams lets his game do the talking, and a plethora of ACC and SEC powers have taken notice. A 6-foot-6 wing that can play a plethora of positions and on either end, Williams isn’t willing to show his hand on any programs emerging as favorites. CHARLOTTESVILLE, VA. – One of the most talented and versatile prospects in the 2019 class, Precious Achiuwa has been a standout performer all week long at the famed NBPA Top 100 Camp. Following another highlight outing, Achiuwa discussed his consistent play in Virginia, a few schools remaining in close contact and when his recruitment could pick up again. In no rush to make a decision, he did say that Kansas, UConn, St. John’s, UCLA and Pitt are among those that have remained in close contact. Rebels 17u @PSAhoops guard @SkeetFam Spring AAU Highlights!